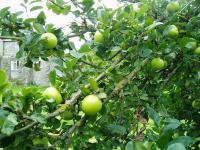 Delicious apples, who would not have fond memories of mother's apple pie or apple jam or apple jelly. 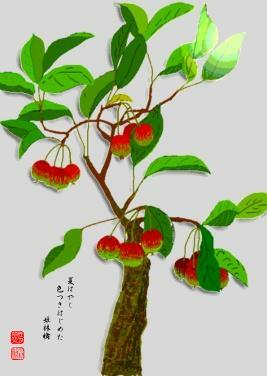 The largest apple-growing regions in Japan are in Tsugaru and Aomori in Northern Japan. The orchards are often visited by a typhoon just before the harvest and many fruit fall on the ground.
. green apple, blue apple - ao-ringo . Apple trees grow in most parts of the world. " 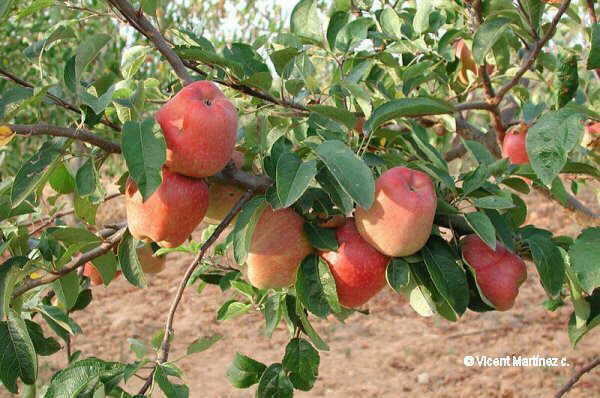 Malus domestica" is his latin name. 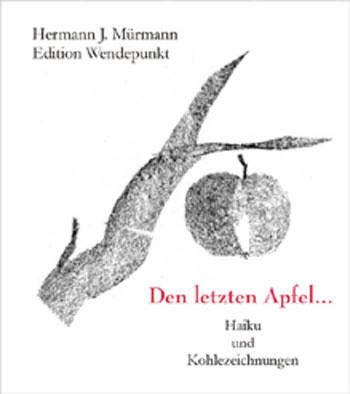 In den Haiku leuchtet uns das wahre Wesen der Natur entgegen.Es offenbart sich als Einswerden im gegenwärtigen Augenblick mit der begegnenden Naturerscheinung. Das Schwarz der Kohle enthält alle Farben ist zugleich die höchste Stufe der Farbvereinfachung und erzeugt im Kontrast mit den weißen Flächen eine ihm eigene Lebendigkeit und Tiefe. A member of the Rose family these occur in both wild and cultivated forms. 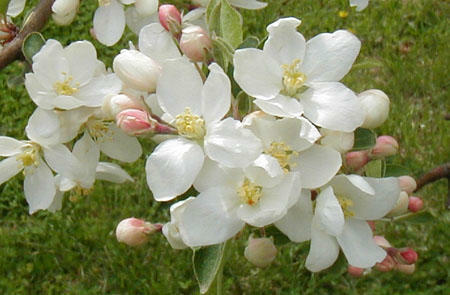 This is a cultivar which is fairly true to the wild species, Pyrus coronaria. Frequently used in landscapes these trees provide a beautiful color, and aroma to spring. The bitter fruit of the wild species can be made into a wonderfully tart jelly. The Domestic Apple is a hybrid mixture of at least four different wild species including Malus sylvestris, M. pumila, M. dasyphylla and M. sieversii. These species occur in the cool temperate regions of Europe, the Near East and central Asia. It is difficult to ascertain when domestication of apples began but apple remains in archaeological sites dating back to the Neolithic suggest that from the earliest times, apples were being harvested from the wild and eaten. Presumably apple trees started growing round habitations from discarded apple pips. However, the earliest evidence of apple domestication dates back to only the 10th Century BC from a site in Israel between Sinai and the Negev. This site is well outside the range of the wild apple species yet apple cores occur in large numbers suggesting apple trees were cultivated and probably irrigated as this region is so dry. 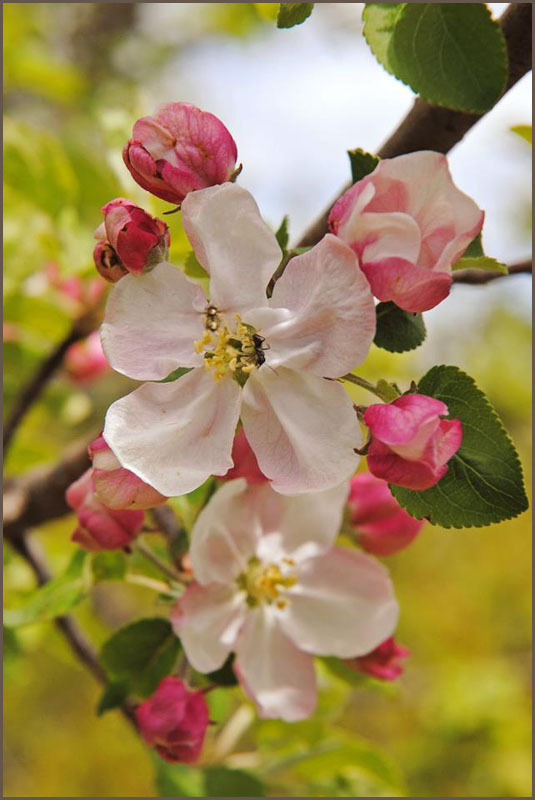 The first record of grafting of apple cultivars is from Greece in about 300 BC. The development of grafting techniques was important as apple plants do not root readily from cuttings. Grafting permitted favourable varieties to be propagated clonally which was important because the favourable characters would have been diluted by outcrossing if seeds were used. The rootstocks for grafts were usually seedlings of wild species. During the Middle Ages, peasants and monasteries produced many apple varieties and in the 1500's and 1600's rich people with large gardens cultivated numerous varieties. Many apple cultivars were developed in eastern North America, arising from different varieties of seed brought over by immigrants from various parts of Europe. For instance, the Golden Delicious arose from a chance seedling in 1900 in West Virginia. Apples are grown in temperate regions all over the World and some of the varieties were developed in Australia and New Zealand, the most conspicuous example being the Granny Smith apple that originated from a seedling in New South Wales (Australia) in 1868.
was an American pioneer nurseryman who introduced apple trees to large parts of Pennsylvania, Ohio, Indiana, and Illinois, including the northern counties of present day West Virginia . . .
. Hatoyama Apples 鳩山リンゴ　.
. WASHOKU - Apples from Aomori . 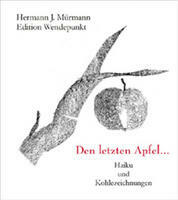 Read more haiku and poems about the apple tree ! Seen f rom far, the fowers seem all white, but at a closer look they are slightly pink and make a fine contrast with the shiny green leaves. Hana Ringo 花林檎　is also the name of a Haiku Magazine in Japan. when a tree is lazy to bloom and results in small fruits, farmers invited by its owner gather to drink a cup of tea and local cake under its shadow; then the owner pretends he/she is very angry and wanna cut this tree, and the other farmers pretend to stop him/her. Then the other farmers promise the owner this spring this tree will bloom more and more and -- as i see this will work ! A candy apple is an apple covered with candy. Sometimes, caramel or some other candy substance. Sometimes they're chocolate. Even though candy apples are available year round, when I think of a candy apple I think of Autumn. I think of Halloween, fall festivals, and the candy apple displays in my grocery store. I think of candy apple kits at apple stands and farmer's markets. where, of course, a Mustang is an automobile. The solemness of this haiku is quite literal. A local orchard hangs rotting with the original owners death for some years. A new owner is needed.